Polar Breeze Naked 100 E-Juice 60mL, formerly known as Frost Bite, is a delicious blend from the makers of the Schwartz that combines the flavors of three tropical fruits with an icy cool twist to create the ultimate all day vape. Polar Breeze begins with a mix of sweet golden pineapple, the crispy flavor of a perfectly ripened honeydew and the sweet tanginess of a plump cantaloupe that is then followed by an icy cool blast that makes this liquid a great choice for any menthol enthusiast. Naked 100 has become well known for mixing some of the best tasting liquids on the market, they do this through months of research and development before releasing each flavor to the community. Each liquid is mixed with a clean lab facility with only the highest quality USP/Kosher grade ingredients including vegetable glycerin and propylene glycol. 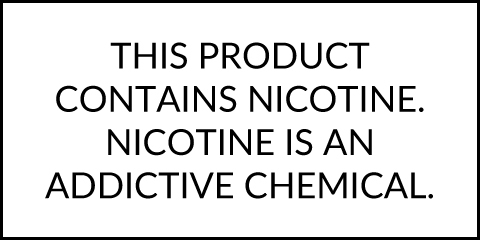 Polar Breeze from Naked 100 is made available in 60mL child resistant bottles with a 70/30 VG/PG mix and several strength options to choose from including nicotine free.